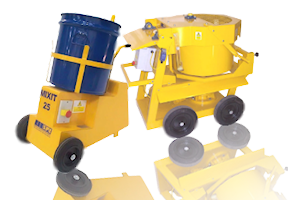 The SPE range of Mixing Paddles are designed to provide robust and efficient mixing of a range of materials. With either M14 or hexagonal shaft connections available, the range allows mix sizes from 5 to 50Kg to be handled with ease. Dense materials such as coarse aggregates, gypsum products and insulating compounds are easily accomodated as well as lighter materials such as coatings, paints and slurry. Hexagonal shaft connections are suitable for standard slow speed chuck drills whilst the M14 thread is designed for purpose built hand mixers. Adapters are also available enabling the M14 threaded paddles to fit a wide range of available makes of hand mixers.